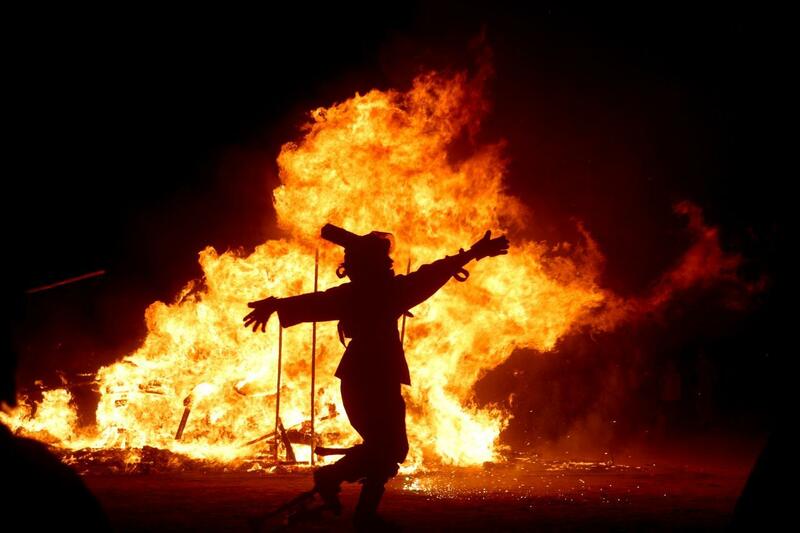 Chaharshanbe Suri is an ancient Iranian festival dating back to at least 1700 BCE of the early Zoroastrian era. As this ceremony being celebrated by millions of Iranians each year, local religious leaders are not happy with this. “The government and parliament must show their intentions in repressing the superstitious activities in country. Unfortunately some ceremonies dating back to the black ages of Iran’s history are still alive even after Islamic Revolution.” Tehran’s Interim Friday Prayer leader Ayatollah Mohammad Ali Movahedi Kermani said. “I’m clearly pointing to Chahar Shanbeh Suri ceremonies. IRIB usually broadcast the damages and injuries happen in this day. Iranian legislatures should pass a new bill to ban Chahar Shanbeh Suri and prosecute those ones who endanger the lives of other people.” Ayatollah Ali Movahedi-Kermani added. He also serves as the representative of Ali Khamenei in the Islamic Revolutionary Guards (IRGC). The celebration of Chaharshanbe Suri usually starts in the evening, with people making bonfires in the streets and jumping over them singing Persian verses. The ancient festival usually occurs on the last Wednesday of the Iranian year.